For this project I had the pleasure to work with Spice Horizon, a Chicago based family-owned spice company looking to improve their brand recognition. My task was to take their product labels to the next level. The client wanted labels that would stand out on the shelf but also communicate the product intent well. I achieved this by way of color theming, font hierarchy, and of course, beauty. One of the first steps was to highlight all of the elements that made up the labels and to find a way to present all of the information clearly. I wanted to successfully contrast my labels not only with the previous ones, but with other commercial labels that I had seen other companies use. The client wanted these to be unique. My goal was to achieve not one, but several successful product label designs to give the client room to find the aesthetic which represented them best. After multiple rounds of designs, the client thought that the new labels aligned with the direction they wanted to go and found that they represented the company well. 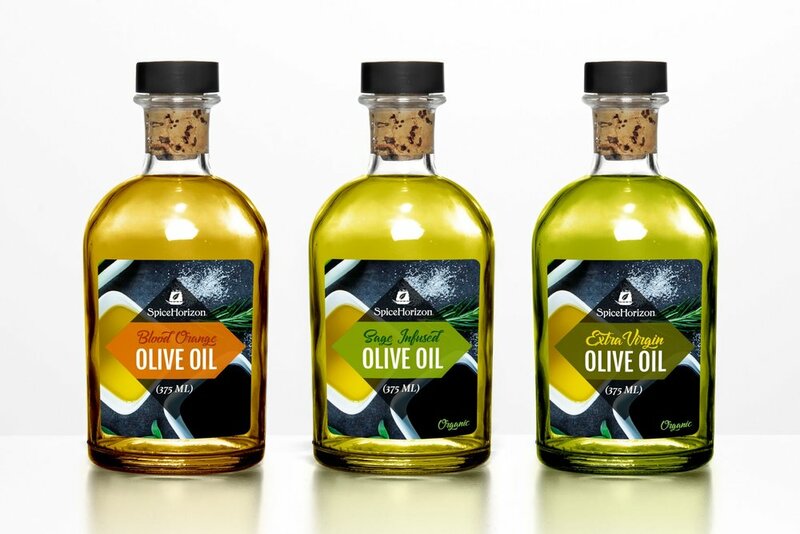 Doing the olive oil product labels provided me with an opportunity to examine the versatility of the spice labels I had designed. 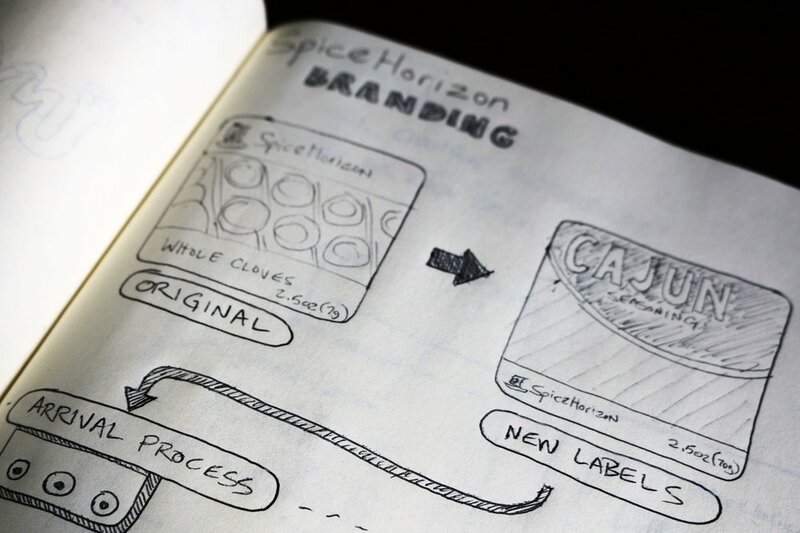 It was important to design labels that worked not only with the spice label aesthetic, but also with all of Spice Horizon's other products.